Coding drives your revenue cycle. In the new era of value-based reimbursements, never before has the process of medical coding had such a powerful impact on revenue cycle performance. Coding is an imperative mid-cycle cog in your revenue cycle wheel, impacting operations both upstream and downstream. 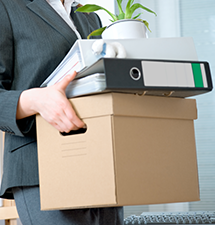 Long-term, or short-term or even within a specialty, staff shortages mean you’re not meeting goals for charges out the door. Correcting inefficiencies in your coding workflow are vital to resolving anything that is slowing down reimbursement. A coding compliance audit is an imperative step toward continuous improvement of your coding operations. HCC should be on the radar of every healthcare leadership team — and every commercial payer, for that matter. The backlog at a large Midwestern academic medical center was keeping the Director of Patient Accounting up at night. MediRevv supplemented the internal coding team with nine MediRevv rockstar coders, working down the backlog of 12000+ coding-related denials sooner than the goal deadline and demonstrating how an active denials management strategy yields continual revenue for correctly-coded services. 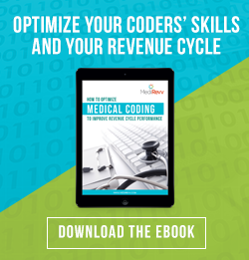 In 6 months, MediRevv reduced the inventory of coding-related denials from a high of $7.7M to around $40k. Today, four MediRevv coders remain with the client’s internal team, and denials are worked as they occur. Coders possess a transferable, extremely marketable skill set that is needed to translate clinical documentation into charges. With an increase in patient volume and massive regulatory changes (ICD-10, MACRA and more specifically MIPS, to name a few), it’s a great time to be an experienced medical coder — and it’s significantly more challenging to manage a team of coders. Managing vacation, disability, maternity or extended leaves can lead quickly to a coding backlog and a heavier workload for the rest of the team. Further, when coders leave, you’re left with nothing to show for all the training and continuing education invested in them along the way. An increase in the sheer volume of charts to code – regardless of the reason – can make coding a bottleneck, which attracts unwanted scrutiny. Coding leaders are measuring to their own KPIs, but they are also subject to administrators’ expectations for timely charge submission and for keeping accounts receivable below a certain threshold. A coding backlog has downstream ramifications, regardless of whether it grew as the result of a positive decision (expansion by acquisition, for example), or something quite opposite — a hike in the volume of patients, staffing shortages, poor coder performance due to lack of training, or inefficiencies farther upstream in the revenue cycle beyond the influence of coding leaders. Wherever there are gaps on your team, we can fill them. Any specialty, any task, any time. Full scale, or only the functions you need at the moment — production coding, coding-related denials or edits, auditing for compliance, even education. Our coders are actually your coders. In fact, we call them rock star coders. We emulate your practices, protocols, workflows – even your culture. Each holds certification through AAPC and/or AHIMA and is ICD-10-trained and many are HCC-conversant. MediRevv coders bring decades of combined experience in nearly every specialty, and are continually growing and learning with both internal and external continuing education initiatives. Big backlogs require concerted, focused effort. While the major effort will always be to dig in and simply do the work — code accurately and proficiently — resolving the cause of the backlog is equally important to prevent it from recurring. We do both simultaneously. Ready to leverage your coding for better revenue? ... and we want you to better optimize your coding team. Do you ever feel like that department is a whole other island that's difficult to understand? Do your coders feel overwhelmed and seem to have a growing pile of work that seems to never get completed? Is your bottom line not in the shape you want it to be because of it? Hire the best coders for your team. Understandably so. Working edits and denials is probably not your coders’ most pressing priority when there are so many charges to get out the door each day. Sometimes the culprit is time, and sometimes it's simply that a coder doesn't like or isn't proficient at sleuthing and rectifying it. Procrastinating on the bucket of claim edits and coding related denials will eventually affect revenue cycle performance. 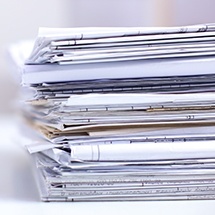 Correcting inefficiencies in your coding workflow and assigning the right coders to edits and denials is vital to resolving anything that is slowing down reimbursement. This is a multi-step process that involves workflow assessment, first and foremost, to correct inefficiencies. We’ll prioritize coding related denials, researching, resolving and re-submitting under deadline — but that’s not all. To prevent the same coding-related errors from recurring, we’ll identify the edits within the practice management system in order to kick back future claims with those known errors. And we’ll identify education opportunities to inform providers and staff of coding rules and regulations as a denial prevention tactic. No coder or coding department is exempt. But that does not mean that you cannot do anything about it. Click here to read our four best strategies to maximize cash and minimize loss from those pesky denials. Click here to read the article: "Coding Denials: 4 Strategies for Maximizing Cash"
The government takes coding compliance seriously. So should you. Coding-related denials are up, and we’re looking for the reason(s) why. Modifiers are tricky. How can I be sure my coders are using the right ones? Focused on ensuring coding compliance? Let MediRevv do a coding compliance audit, remotely, to accurately capture all that’s going right and provide visibility to areas for improvement. You will receive individual reports per provider outlining the accuracy rate and details on incorrectly coded records as well as a summary report of findings across your coding operations including comparisons with CMS coding distribution by specialty. Close inspection of your coding processes should never hold a negative connotation. On the contrary, a coding compliance audit is an imperative step toward continuous improvement of your coding operations, which will positively impact your revenue cycle performance. Coding audits are a part of a healthy compliance plan, and they are performed to evaluate adherence to OIG, CMS, and other payer regulations. You may need to start with the ABCs of HCC, or you may already have an entire division – ironically separate from revenue cycle operations – to handle this not-new yet imperative aspect of coding as your organization moves toward value based care. Hierarchical Condition Category (HCC) is a risk adjustment model specific to CMS that measures the disease burden by way of categories that correlate to ICD-10 codes. HCC has been around for years, but it has received heightened visibility since Medicare Advantage Plans use risk adjustment factor (RAF) scores for reimbursement. Long story short, what you do now will impact your future reimbursements from insurance plans. Value-based care is about treating patients with a whole health approach, and to get the full picture, providers need to document completely and accurately so that coders can select ICD-10 codes to the highest level of specificity as well as attach HCC codes. But these steps – which sound simple – requires attention to your process and workflows. Awareness of HCC is imperative across your entire organization. Every stakeholder must understand the value-based “why” behind HCC, which makes education imperative. Physicians should already be documenting to the highest level of specificity so that coders can assign the correct HCC codes. Make sure your physicians understand not only how, but why to document with specificity. Designate coders to identify the patient status and history (e.g., chronic conditions) in advance of the patient’s visit so that HCC codes can be appropriately assigned. To optimize your EMR to facilitate HCC coding, technology is available to prompt providers at the point of care to assess, document and capture HCC codes. Additionally, a growing variety of post-care technologies that aid in HCC coding are making their way to market. See the impact of HCC! Provider documentation and accurate medical coding have never been more important. 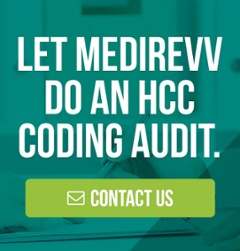 Let MediRevv do an HCC Coding Audit to show you how and where to focus your efforts as you move toward value based care. Our experience with MediRevv has been exceptional and the coders always strive to meet our coding needs. When our staffing in coding changed the immediate response from MediRevv to assist our needs was remarkable. I would highly recommend any provider to utilize MediRevv and their excellent coding staff. Whether for short term or long terms – MediRevv will meet your needs! Who Should Answer When Your Patients Have Medical Coding Questions? ICD-10 Questions: Who you gonna call? After all the preparation for ICD-10, it may be a relief for many that the deadline has passed and we’re now underway. And that’s good. Sort of. October’s Almost Here. Hire More Medical Coders. 92 days til October 1. Here we are, the final installment in our three-part series on preparing your organization and your revenue cycle for ICD-10.